I was recently sent this months Twist Cocktails Kit, the Gin Martini & The Martinez, to try out and review. The contents of Twist Cocktails give you different ingredients to create 2 main cocktails, 2 twist cocktails and then have enough left over to create another 2 drinks. But you do also need to get yourself a lemon and lime for the peels that aren’t supplied and a cocktail mixologist kit or other tools to stir/strain/peel. The kits cost £25 which is a little pricey but for a fun subscription to try and make new and different cocktails it is a really fun idea and treat. 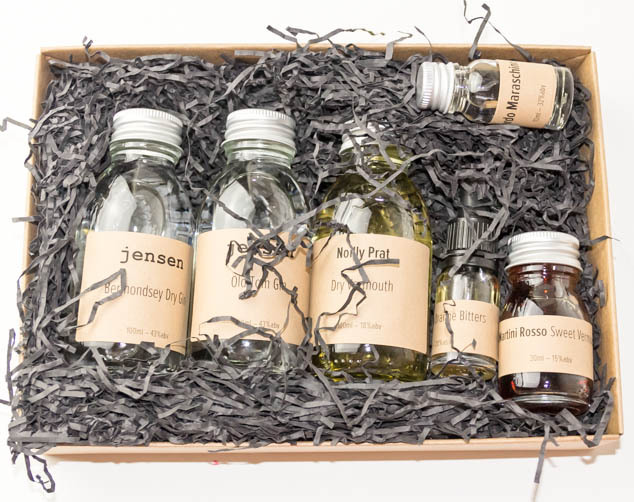 You can buy them as a gift or one off subscription and can also buy a mixologist kit from them for £29. My box didn’t contain a recipe for the cocktails but I was sent a link to recipes on their website for this box, which also contains information about the brands of alcohol used in the monthly box. 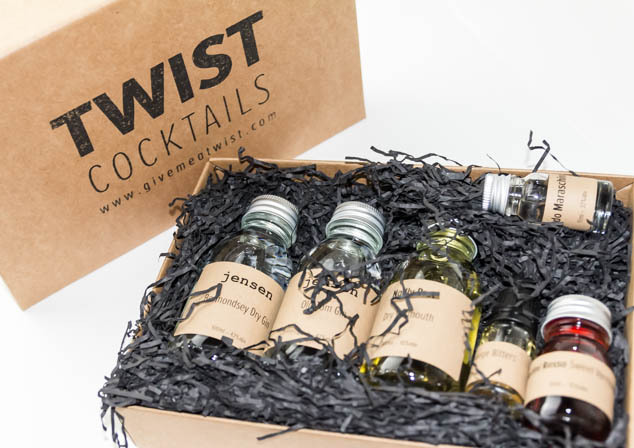 Twist cocktails have said that they are now sending out recipe booklets with their boxes which is great, without them it seems to take away from the hassle free cocktail kit if you have to go online and search for what to make. Twist Cocktails is a new brand, only starting in January 2014. In the past it looks like they have had really unusual boxes that I would love to try but their website shows none of the names or contents of previous boxes which I wish it did so I could see their variety. They also look like they used to also send fresh ingredients such as mint, lemons and limes which aren’t in my kit. This again would make the kit more appealing if everything I needed was ready in the kit to get going. I did have a few queries about the brand regarding hygiene and licensing when I realised the bottles weren’t sealed and the contents was re-branded alcohol. Receiving unknown items online, I know I’m not the only person who is going to raise questions. Toby Vacher, founder of Twist Cocktails, has assured me of their hygienic sterilisation process, regular hygiene and safety council check ups and correct licensing, answering all my questions. 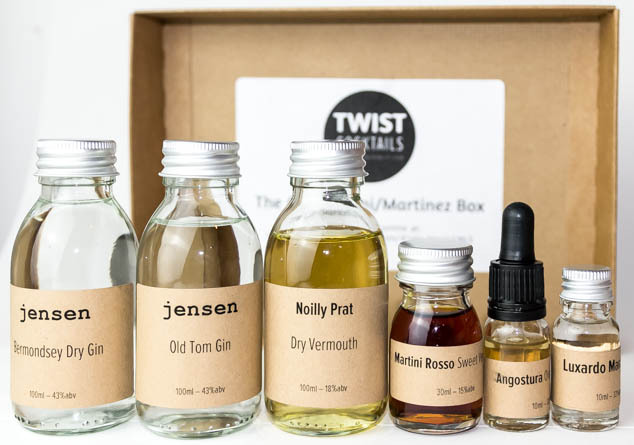 Overall Twist Cocktails is a really nice concept and a very unique subscription kit. 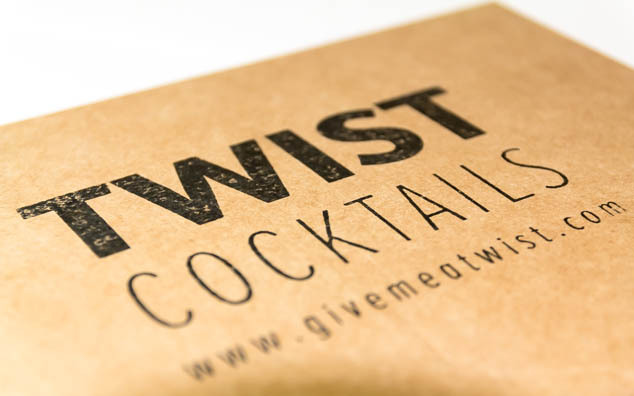 Are you tempted to try Twist Cocktails?